Cataloging the problems and growth patterns of small businesses in a systematic way that is useful to entrepreneurs seems, at first glance, a hopeless task. Small businesses differ widely in size and capacity for growth. They are characterized by independence of action, differing organizational structures, and varied management styles. However, on closer inspection, it becomes obvious that they experience common difficulties arising at similar stages in their development. These points of comparison can be organized into a framework that increases our understanding of the nature, characteristics, and problems of businesses ranging from a corner dry cleaning establishment with two or three minimum-wage employees to a $20-million-a-year computer software company experiencing a 40% annual rate of growth. 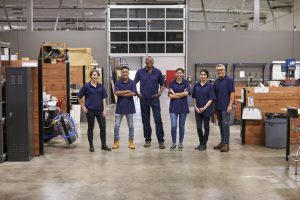 For owners and managers of small businesses, such an understanding can aid in assessing current challenges; for example, the need to upgrade an existing computer system or to hire and train second-level managers to maintain planned growth. Numerous researchers over the years have developed models for examining businesses. Each uses business size as one dimension and company maturity or the stage of growth as a second dimension. While useful in many respects, these frameworks are inappropriate for small businesses. As great as start-ups can be for macroeconomic development, they can also be chaotic for a couple of reasons. The risk for start-ups is extreme and the total cost can be exorbitant. Founders put in more time, energy, emotion and capital than they ever thought would be required. And, since most fail, the total cumulative cost to launch start-ups that succeed is enormously underestimated. Start-ups disturb the price structure. While trying to get a position in the economy and before they know what it takes to capitalize business growth, a classic start-up exercise is to enter the market with low prices. This sounds like honest opposition and good for customers. However, established corporations do know what they must charge to sustain their business. And, even after a startu-p runs out of investment and leaves the marketplace, damage to the price structure remains. Fewer start-ups. There has been less price structure disruption since 2008. The banking industry has confirmed an unparalleled lack of business loan demand which is ironic in that interest rates have never been lower. Stronger balance sheets. Reduced debt plus methodical retailing, inventory, and supply chain practices that prevent inventory creep all improve important financial ratios. More gross profit. Rigorous expense control relieves pressure on gross profit from flat sales and pricing pressure. Enhanced capital and cash. All of the above practices contribute to profitability which, in the current environment, is more likely to be retained. Retained incomes push capital and cash in the direction of sustained operations and long-term success. More credit worthy. Firms that grow beyond organic funding will be more worthy of credit and preferred terms and rates. 1) Customer needs do not appear to be evolving rapidly. 2) Consolidation by leading competitors is reducing economical intensity. 3) Disruptive innovations and new applicants are gaining share only gradually and top out at relatively low levels. 4) Marketplace shares of leading contenders have hardened and are changing gradually, if at all. 5) The price, brand, and/or channel stratagem has replaced product innovation as key value drivers. 6) Cash flows are progressively turning positive and being returned to investors rather than investment in the market. Small businesses play an important role in any civilization. When they are first recognized, they represent ways that corporate owners test their business ideas in a market. Small businesses that create jobs for labor, in addition to the owner, offer even more economic stability. Providing a steady source of income for business owners and employees is just one reason they are important. Effective Measures to Identify and Conquer SME Business Challenges PCI DSS 2018: What Does the Future Hold?